I’m Concerned About My Child. What Steps Can I Take? “We’ve tried everything… I don’t know what to do.” Every child struggles with behavioral concerns. 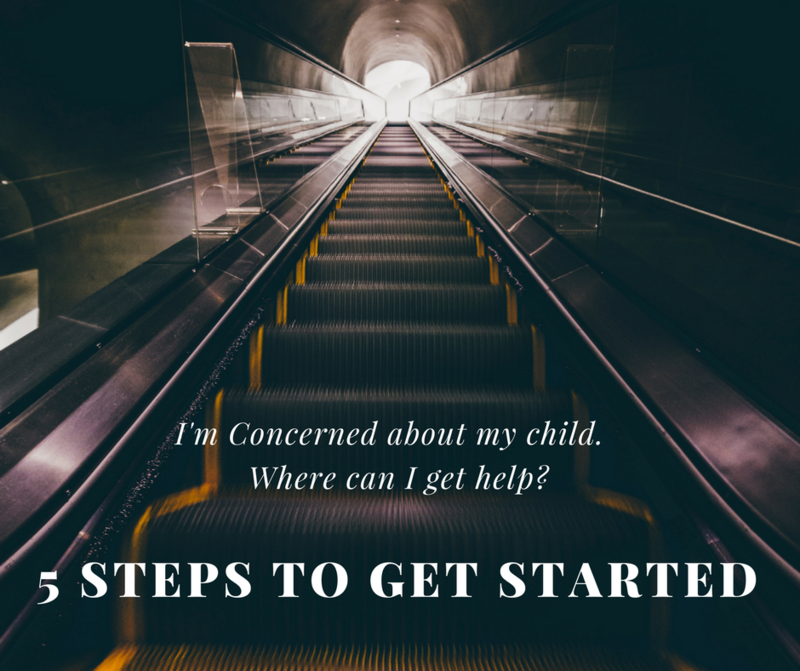 But, what do you do you if your child is having excessive behavioral concerns or you believe they may not be meeting developmental milestones? There is help out there. You are not alone. Your child can progress no matter how significant their needs. Make an appointment with your pediatrician. They should be able to do a basic screening and can refer you to an Evaluator who can do a comprehensive assessment. Make an appointment with a specialist. Your pediatrician may refer you to a developmental pediatrician, a psychologist, psychiatrist, or a specialized clinic. Based on the information you provide and the specialist’s evaluation of your child, they will provide you with a comprehensive report of their assessment. Getting an evaluation is a key step in order to access any other services and to getting the support you need. Funding for most services is only available for individuals with a diagnosis. It may be difficult, especially in more rural areas, to find a doctor near you that specializes in evaluating children and many families choose to travel to a nearby city for a comprehensive assessment. Find Services. If your child is given a diagnosis, there are a variety of services and resources available. Insurance companies may fund different services depending on the diagnosis given and what is considered to be effective treatment for that diagnosis. Your doctor will make recommendations for services and supports in their evaluation report. Don’t wait. It may take months to get a diagnosis, and even more time to get access to treatment. Many evaluators and service providers will have wait lists. Most areas have a many more children with needs than they do providers. It is best to make appointments as soon as possible and get on wait lists. For example, for children diagnosed with Autism, ABA therapy is best practice and has been demonstrated to provide the best possible outcomes. But, providers are limited and many have wait lists or limited availability. Sometimes you may not even be informed of what treatment or resources to seek out. Do some research. Not all doctors or service providers are created equal. All have different skills and specialties and it is important to find support from professionals who can meet your specific needs. Be your own advocate. Talk to other parents in your area, your school, county boards, support and advocacy groups, etc. Talk to anyone who might know what’s available.